Another day, another round of evidence that authorities and the hotel’s involved are conducting a massive cover-up of what actually happened in Las Vegas during the worst mass shooting in American history. The latest round of revelations comes in the form of a Fox News report that details the fact that MGM has sequestered security guard Jesus Campos in one of their hotels so that he is unable to speak to anyone or really do anything at all without the hotel itself knowing. Keep in mind, MGM already made Campos conduct a softball interview with Ellen while cancelling his other media appearances. “The arrangement has led to speculation that MGM wants to prevent the media from questioning Campos about the Oct. 1 massacre, in which a gunman opened fire from a hotel owned by the company. 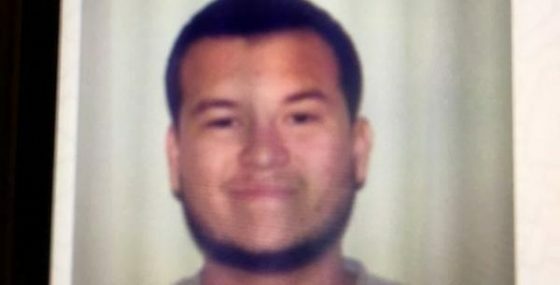 Campos, who was shot in a leg during the rampage that killed 58 people and injured more than 500, is on paid leave while he recovers,” reported Fox News. That’s right, one of the “hero’s” on the night of the massacre is literally being watched as if he were a criminal with his every move controlled by MGM and seemingly designed to make sure he doesn’t blow the lid on the entire false flag operation. This also comes at a time when authorities, both the LVMP and the FBI, are publicly stonewalling any sort of real investigation into the massacre. The FBI even went as far as to claim that it literally “doesn’t matter” that authorities are hiding all of the latest developments in the attack from the public. Interestingly, the situation is getting so bad that even local mainstream news outlets are sounding the alarm, with the Las Vegas Review-Journal noting that authorities had changed their entire demeanor after independent reporters began to fact check their claims.